Bruce played the song during a three and one half hours of total, Christmas spirit show. Bruce sings a duet on Alison togheter with Elvis Costello . 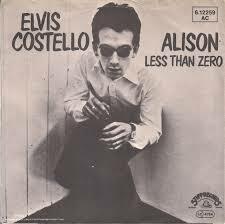 "Alison" is a song written by and first recorded by Elvis Costello in 1977 for his debut album, "My Aim Is True ".